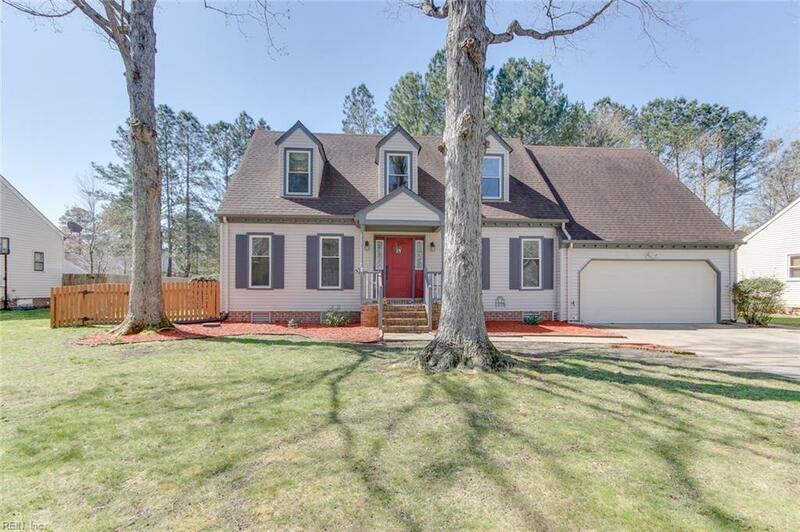 819 Montebello Cir, Chesapeake, VA 23322 (#10250631) :: Abbitt Realty Co.
WOW! 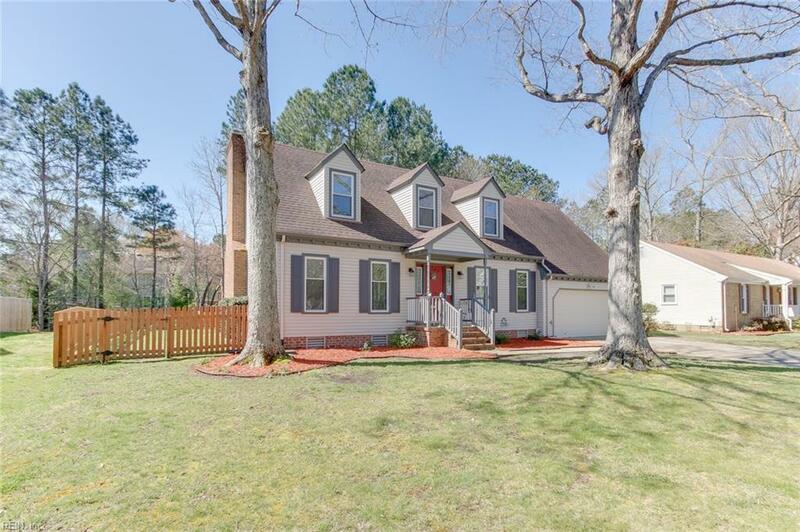 Beautiful 4-bedroom Cape Cod style home tastefully updated and located in the much sought after Great Bridge neighborhood. 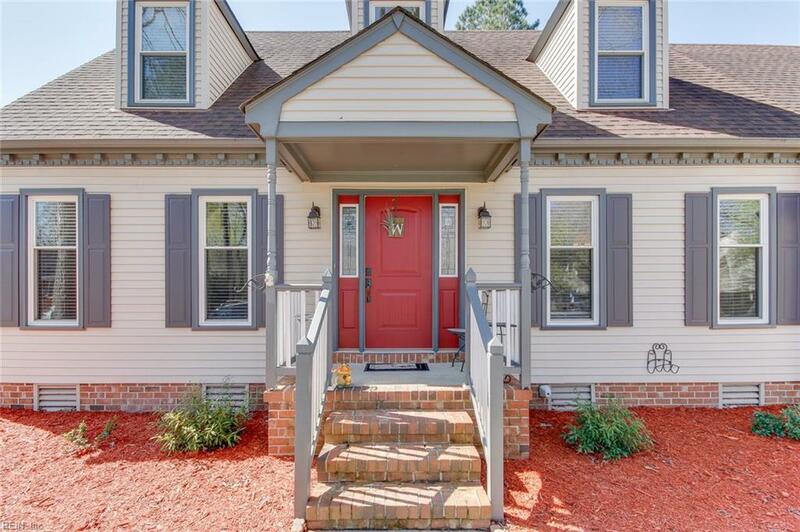 This lovely home is full of character, is tucked away on a quiet street and backs up to a small creek. The Large eat-in kitchen has many recent updates including granite countertops, custom island, newer appliances including an oven, beautiful subway backsplash, and a coffee bar. Hardwood and tile in this house makes it easy to clean and allergy-friendly. The only carpet in the home is in the FROG, and that was also recently replaced. A large laundry/mudroom off the kitchen leads to a two-car garage with custom shelving. Additional updates include windows, exterior doors, and tankless water heater. Enjoy your spring and summer in your lovely new backyard that has plenty of room to host a cookout or play a game of soccer or football. 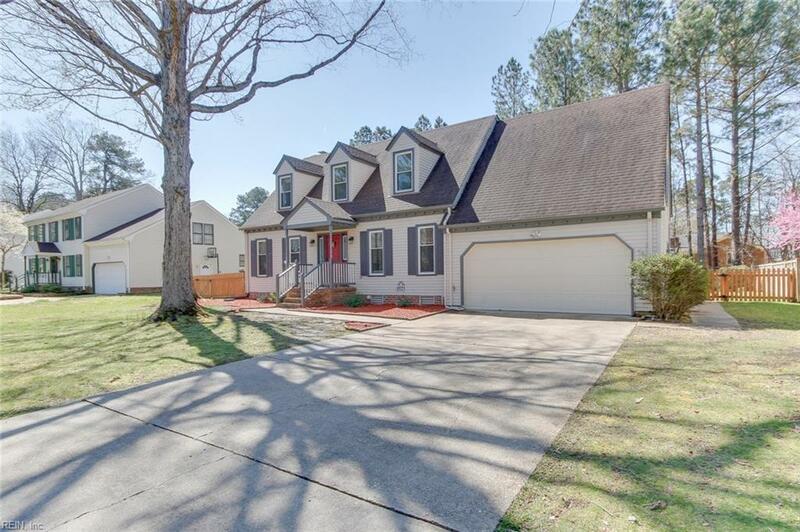 Centrally located with easy access to military bases, shopping, YMCA, the library, and less than 30 minutes from the beaches!